KINGSTON — The Ministry of Health yesterday received some $670,000 worth of baby treatment masks and spacers to be used in the care of young asthmatic patients in public health facilities. The lifesaving equipment was donated by the LASCO Pharmaceuticals Division in recognition of World Asthma Day, which is being observed under the theme: ‘You Can Control Your Asthma’. Speaking at the handing over ceremony at the Ministry’s King Street offices, downtown Kingston, Health Minister, Hon. Rudyard Spencer said the contribution, which consists of 700 masks and 400 spacers, is important in the treatment and management of asthma. He informed that asthma is one of the most common chronic illnesses affecting the adult and child populations in Jamaica and is the leading cause of hospitalisation among children under five years old. Some 19,647 asthma cases were recorded in primary health care facilities in 2008, while there were 55,572 visits to accident and emergency departments in hospitals, representing a 32.8 per cent increase over the 41,858 visits in 2007. “The total hospital discharges for asthma in 2008 was 2,185 and a total of 1,418 cases of asthma were seen in public outpatient departments, where 100 clinics were held,” Mr. Spencer said. “The total asthma cases for that year represented a 1.2 per cent increase when compared to the 2007 figure of 1,400. Of the asthma cases in 2008, 181 were new,” he informed further. The Health Minister applauded LASCO Distributors on its commitment to health care in Jamaica. He said that Government needs the assistance of private sector companies and groups such as LASCO to continue to improve the standard of care and service delivery and enhance the wellbeing of all Jamaicans. 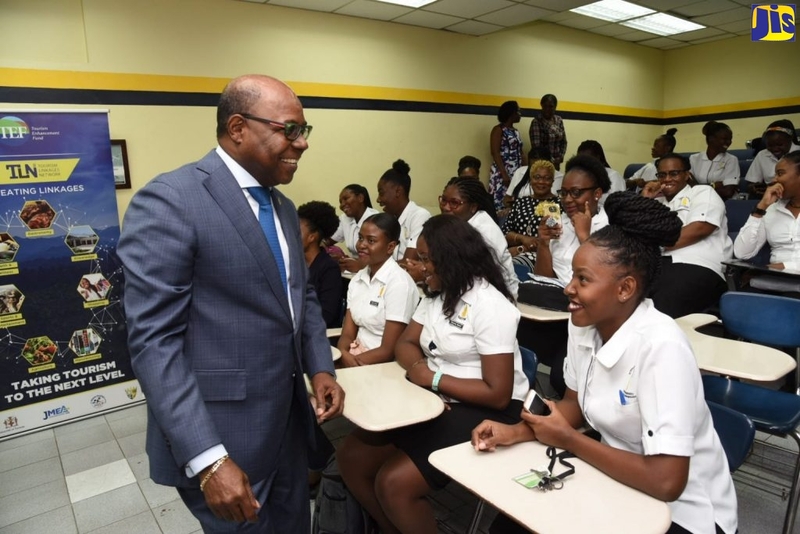 “This is important if we are going to make (Vision 2030 Jamaica) a reality and make Jamaica, the place of choice to live, work, raise families and do business,” he remarked. Sales Manager, LASMED, LASCO Pharmaceutical Division, Joy Mitchell-Grant, said the donation will allow for the more effective use of the inhaled asthma medication resulting in fewer acute asthmatic attacks and ultimately, reduce the burden on the public health care system. She said LASCO Distributors is pleased to partner with the Ministry of Health to provide adequate medical care for all Jamaicans. World Asthma Day, which is being observed on May 3, is an annual event organised by the Global Initiative for Asthma (GINA)to improve asthma awareness and care around the world. The World Health Organisation (WHO) estimates that globally, approximately 300 million people suffer from asthma, with 255,000 deaths occurring in 2005 alone. The WHO pointed out that while asthma remains a concern in all countries regardless of their level of development, 80 per cent of deaths occur in low and middle income countries such as Jamaica.